Technology still gets a bad rap in many education circles. Perception and lack of information influence the decision making process. This ends up resulting in the formation of rules and policies that severely restrict or prohibit student use of mobile technology and social media as tools to support and/or enhance learning. Even with the proliferation of technology across all facets of society, we still see schools moving at a snail’s pace (if at all) to adapt, or better yet evolve, to a digital world. In my opinion, sheer ignorance is to blame. From this ignorance a plethora of excuses arise. Educators and administrators are quick to point to technology as the main culprit for an array of issues. Case in point. Over the summer I was working with a couple hundred school leaders on digital leadership. As the presentation began to focus on mobile learning initiatives a hand immediately went up. In a polite tone the school leader expressed his apprehension with allowing students to bring or use their own devices in school. His main fear was a concern that students would be constantly off task texting or checking their social media accounts. I paused for a moment to decide on an appropriate response. Herein lies some irony. For the majority of my presentation this school leader had been disengaged himself with his technology. As the majority of the group intently listed or participated in planned activities to apply what had been learned this individual and his buddies checked their email, surfed the web, and accessed their own social media sites. The off-task behavior in the example above was glaring. I seized the opportunity to not only call the group out tactfully and with respect, but to also hammer home a few points. Adults can be just as bad, if not worse, than our students when it comes to technology. How can we as adults set expectations for device use for kids if we ourselves are not willing to abide by those same expectations? This is quite hypocritical don’t you think? Change in mindset hinges on our ability to challenge certain assumptions that we have in terms of mobile technologies. When we do, the end result is that every one of us has been guilty of the same types of behaviors that students are chastised for. Stay with me on this as we take a walk down memory lane. I want you to think back to your days as a student before the proliferation of mobile technology. Through a series of questions I am going to not only ask you to reflect on what you did, but also in the process challenge some firmly entrenched assumptions regarding technology. Here we go! Did you ever write a note and pass it? Today’s students text or communicate via social media. Were you ever so bored in class that you doodled or daydreamed? Well, now kids check their social media accounts or use apps to engage themselves. Did any of you ever see someone with a cheat sheet or answers written on their hand? Now I know as educators you never did this, but I think you get my point. Obviously kids can use technology to do this now as well. Did you ever break any school rules that you didn't agree with? Students do this all the time when dictator-like policies and rules govern technology use. The point here is that it is not a technology issue, but many people make it one. The behavior argument that many make is flawed. It is first and foremost a school culture issue, which falls on the shoulders of leaders. Schools and districts that have embraced technology through a shared vision and resulting plan focused on learning reinforce appropriate use. The other issue is a classroom management one. It goes without saying that if lessons are not authentically engaging and there is a lack of monitoring, students will at times go off task. With any learning activity, with or without technology, effective pedagogy is key. It is time to not only perform the job that we signed up for, educating kids, but also do so in a way that prepares them to harness the learning power of mobile technologies. Excuses plague education systems around the world. Stop making it about the adults and focus on what’s best for learners today. Over the past couple of weeks I have been either keynoting conferences or facilitating workshops focusing on digital leadership and learning. I relish the fact of being able to talk about creating schools that work for kids and leadership in the digital age. The main goal is to inspire current and future leaders to reflect on professional practice in order to become more effective and efficient. The primary target audience has been building and district level administrators with the hope of providing them with the ideas and strategies to improve their leadership. After all, if these leaders don’t get it the chances of innovative change being initiated and sustained is greatly reduced. Here in lies the issue though. The primary audience at each event has been teachers, which by no means is a bad thing. However, the teachers in attendance have been quite open with me in voicing their frustration that their building and district leaders have not been in attendance. This is equally frustrating for me as I was once the leader who had his head in the sand as a result of a fixed mindset. As a result, my school focused on the same nearsighted goals that were more about what was good for the adults and the system as opposed to our students. Many educators see the value in change, but a wake up call is needed for the individuals in power that do not see the value or have the time to improve professional practice. I have written quite extensively over the past couple of months about how leadership is more about action than position. However, the purpose of this post is to stir the pot and target those leaders who have chosen to pursue administrative positions in schools across the world. Many of these leaders talk about how they will, or want to, always do what’s best for kids, but their actions (or lack thereof) speak otherwise. These individuals wield a great deal of power just by the mere fact of having a title. With this power comes a greater responsibility to act accordingly to not only challenge the status quo, but also in many cases make bold decisions to transform traditional school cultures. Times are changing and the mantra that this too shall pass has to be challenged. The will to lead means those who have accepted greater responsibility have the courage to constantly move schools forward. 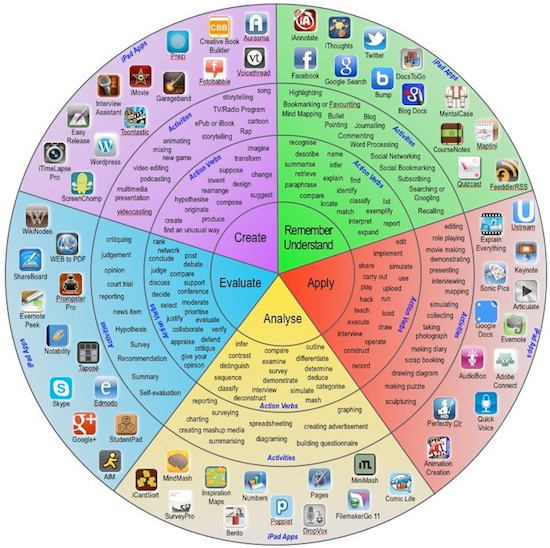 In a world where technology continues to advance at rapid rates this means developing an understanding of how it can support and enhance the work already being done. It also means understanding and accepting that you will not have all the answers, nor do you need to. This requires a mindset to learn how to unlearn and relearn to be in a better position to make meaningful decisions that will lead to sustainable change. How can technology help me do what I do better? Does this policy, procedure, or rule impact student learning? How well does our school/district prepare students for life and jobs that don't exist yet? 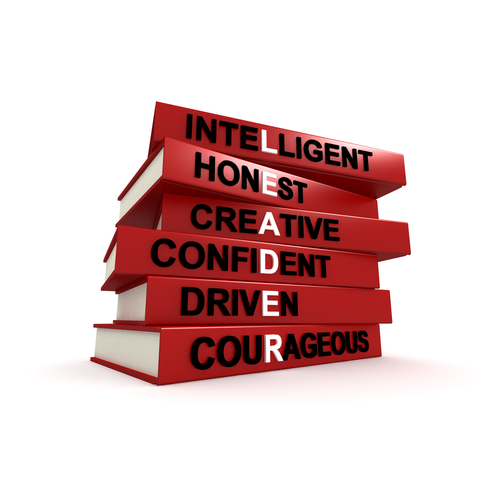 Am I more of a manager or an instructional leader? Is the investment in technology having an impact on student learning? Can I do a better job engaging and building better relationships with all stakeholders? If technology can help with this why am I not embracing it? Do I model the expectations I have set for others? Does the physical school environment reflect the real world? Do educators in our school/district feel comfortable to take risks without the fear of failure? Will I make the commitment to learn alongside my staff? Let the questions above serve as a gut check. Districts need real leaders. Schools need real leaders. Most of all, students need and deserve real leaders. We can no longer afford to have people in power run schools to the ground, protect the status quo, and sustain outdated practices that negatively impact our most precious resource – students. It is an honor and privilege to be in a leadership position. With this must come the will and courage to lead accordingly. Accept this challenge or move on to another position and/or profession so that students and staff can experience their full potential. It is interesting how our culture works, especially here in the United States. We idolize those who entertain us such as actors, actresses, rockstars, and professional athletes to name a few. These people bring joy, and sometimes heartbreak, into our lives. With all the attention, time, and money that are put into our love for the entertainment sector, society needs to take a deep breath and reflect on our priorities. Should we be elevating these people to sometimes god-like status? In my opinion and that of many others, there is no more important profession than that of education. It is the noblest of professions that quite frankly provides qualified candidates for virtually every job. Without educators would we have doctors, lawyers, engineers, politicians, electricians, mechanics, or anyone in the entertainment industry? 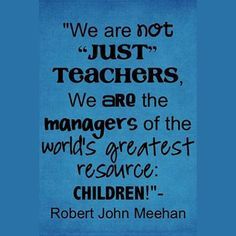 Yet for all that educators do to mold and inspire young minds to think and make a difference in this world, their profession is constantly dragged through the mud. Our priorities are so out of whack and if things don't change fast it will become even harder to attract the best and brightest to work with our children. Not for nothing, but our kids deserve the best. So what if we treated educators like professional athletes? Let's take a minute and see how things could look if our priorities changed. "In recent years it's become a truism that attracting good quality and well-qualified people into teaching is accepted as the essential prerequisite to raising educational standards. In Finland and Singapore, teachers are recruited from the most-qualified graduates, all with a second degree. One obvious way these countries have attracted the best and brightest into teaching is by paying them well." The bottom line is that we won't improve the status of educators unless teaching and education in general is recognized as a worthy profession. It is time for society to shift it's priorities. In the short term let social media be your bullhorn to amplify the essential work you do for kids every day. 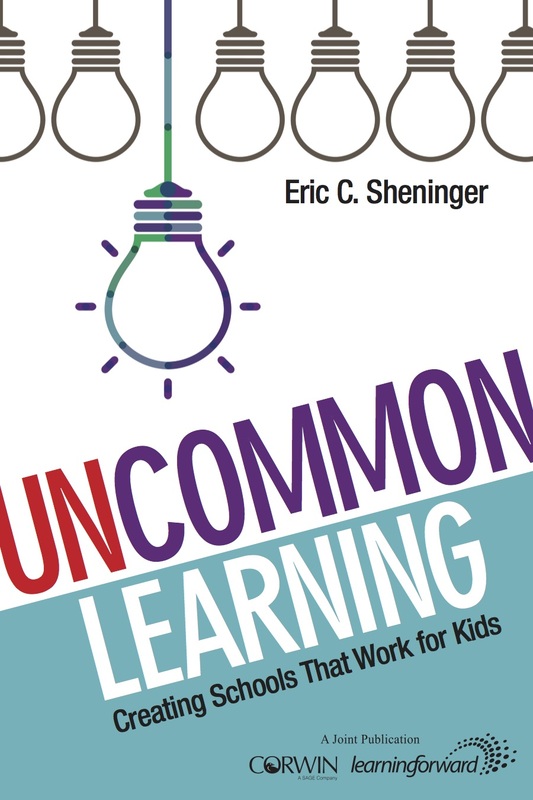 This book, Uncommon Learning, provides a process for schools to initiate sustainable change resulting in a transformation of the learning culture to one that works better and resonates with our students. It lays out the elements necessary for establishing innovative initiatives that will support and enhance learning while increasing relevance to personalize both the school and learning experience for all students. Uncommon learning refers to initiatives and pedagogical techniques that are not present in scale in a typical school or district. If present they are more likely to be isolated practices that have not become systematically embedded as part of school or district culture. Connected learning: Educators today can learn anytime, from anywhere, with anyone they choose. This paradigm shift eliminates the notion of schools being silos of information and educators feeling that they reside on isolated learning islands. Connected learning shatters the construct of traditional learning options such as conferences and workshops as the only viable means for professional growth. This chapter will provide a foundation for innovative learning using social media to form Personal Learning Networks (PLN's) that will continuously support uncommon learning. Schools have traditionally been designed to work well for adults, but the conventional school design hasn't always served our learners. Sustaining these outdated practices will not transform schools. Students today need to be empowered to take ownership of their learning in relevant and meaningful ways to prepare them for a constantly evolving world. It is my hope that this book will show readers how to cultivate shared ownership, respect, and trust, creating a school learning culture that students value and to which they want to belong in the digital age. Readers will be exposed to a variety of successful strategies and initiatives implemented at schools with a focus on the purposeful integration of technology, a redefinition of learning spaces, personalized learning, and the whole child. I hope you enjoy my latest book and am proud that it has been endorsed by Dan Pink, Robert Marzano, Heidi Hayes Jacobs, Governor Bob Wise, Todd Whitaker, Andy Hargreaves, George Couros, Sue Gendron, Vicki Davis, Josh Stumpenhorst, Bill Daggett, Baruti Kafele, Dave Burgess, JoAnn Bartoletti, Yong Zhao, Tom Vander Ark, and Greg Toppo. 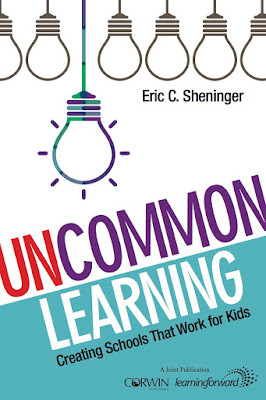 Order your copy of Uncommon Learning today!